What's the number one thing in a mom's mind as they approach their kid turning 1? THE BIRTHDAY PARTY! Duh! 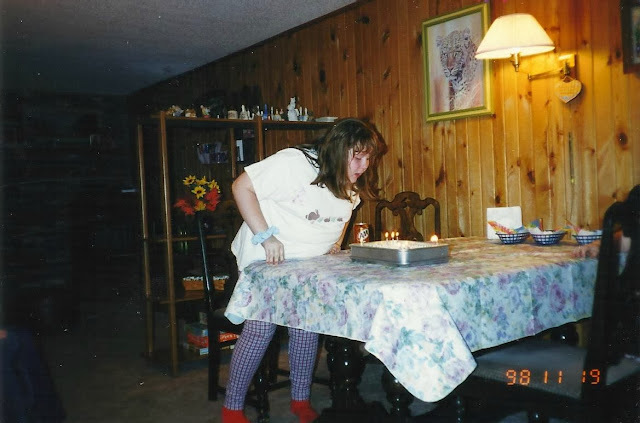 I never had any elaborate birthday celebration. Maybe I'll save that for my 30th. But I thought I would share some birthday party memories with you. 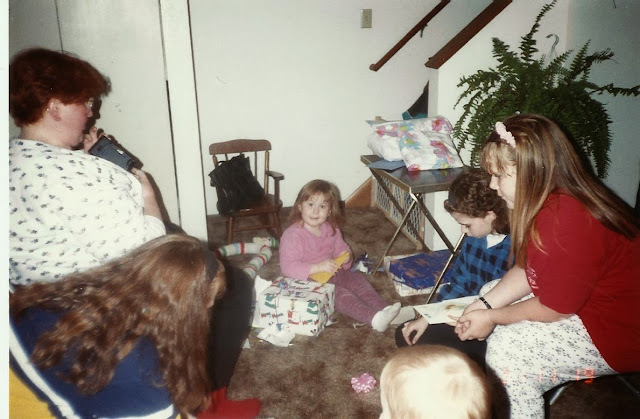 Whenever a kid in my family's birthday came around (until they were 18), we always celebrated by going over to their house that night to open presents and eat cake. Every. Year. No wonder we all looked forward to our birthday so much! 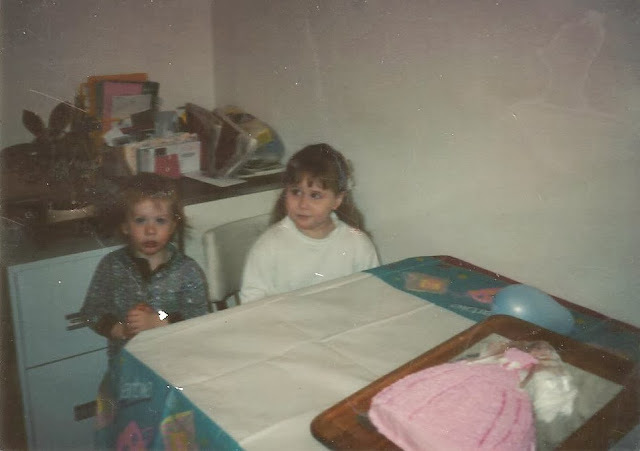 2nd birthday with my aunt. "GIVE ME MY DAMN CAKE!" 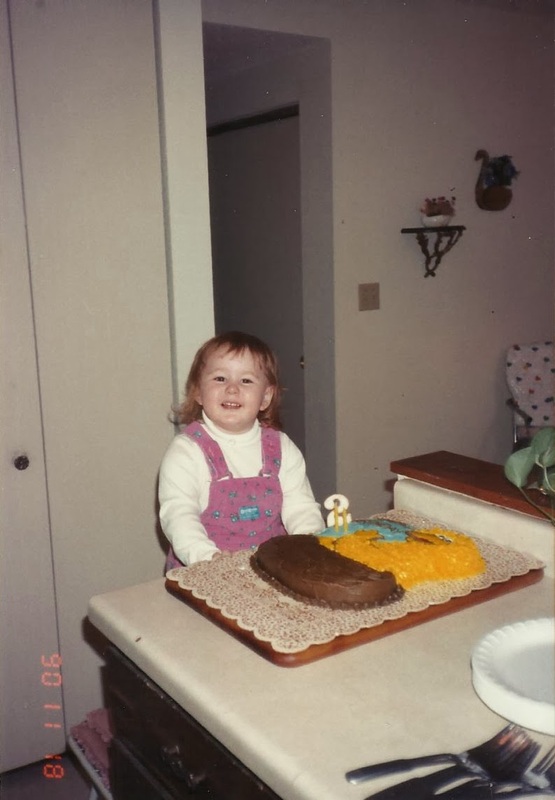 My Grandma always made our cakes. Minnie Mouse, Big Bird, Pocahontas, Barbie. She had a pan for every little kid's fantasy! Third. I am adorable, I know. One of my most vivid birthday memories from that townhouse above is getting this Rollerskater Barbie from my Grandma. I went into the kitchen to play with it with my brother. 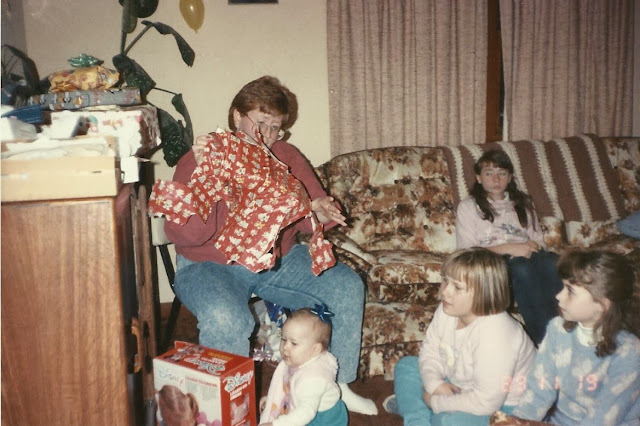 I don't remember the exact details, but I do know it ended with my brother ripping the Barbie's head off and me in tears. Four. Look at that hair! Five. You know McKayla Maroney's "not impressed" face? Well, this is mine. And boy, am I bejeweled or what?! Six. AKA my boy cut year. 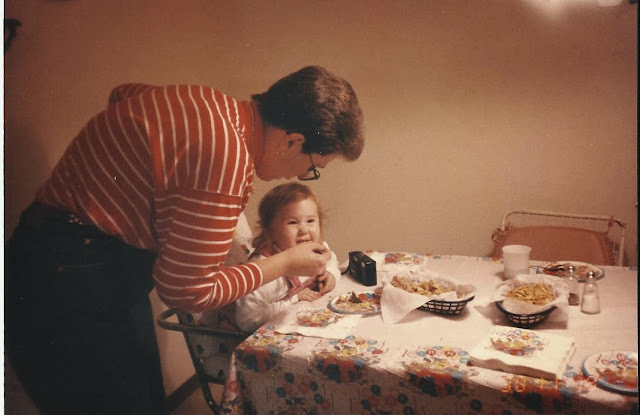 I loved my sixth birthday because when it was your birthday in Kindergarten, you were the "special person" that day and your name was mentioned in the note at the beginning of the day. You also got to take home that note. It was proudly posted in the living room that night when everyone came over. When I turned eight, I had my first party with friends. I invited a bunch of girls over to my basement and we played game. It was definitely one of my favorite parties. I can't find any group pictures though! Posing for pictures since age eight. I distinctly remember that was Alex Mack playing on the TV and I loved that Teacher Barbie set. 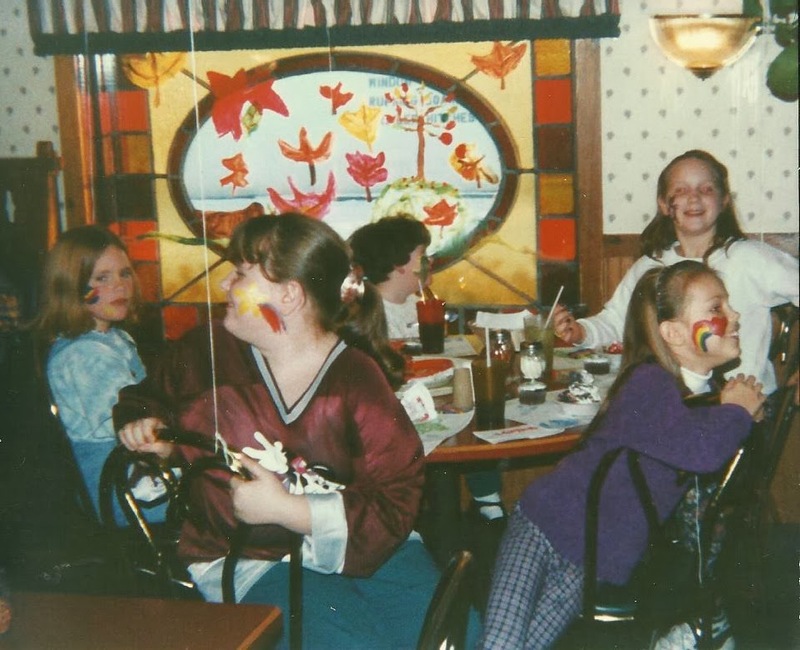 For my ninth birthday, three of my friends came with me to Shakee's (remember those?) and we got our faces painted. 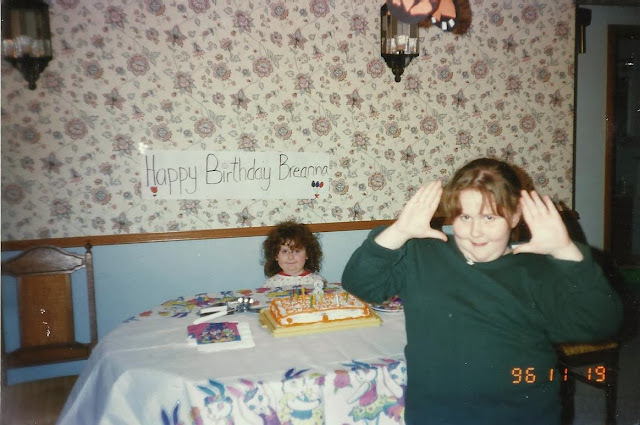 I had a literal dance party for my tenth birthday. We went to this old elementary school and someone taught us a bunch of dances. Looking back, it was very strange. Fun at the time though! The next party I had wasn't until my Sweet Sixteen!! I went cosmic bowling, took a limo ride, and there was a dance at my high school. 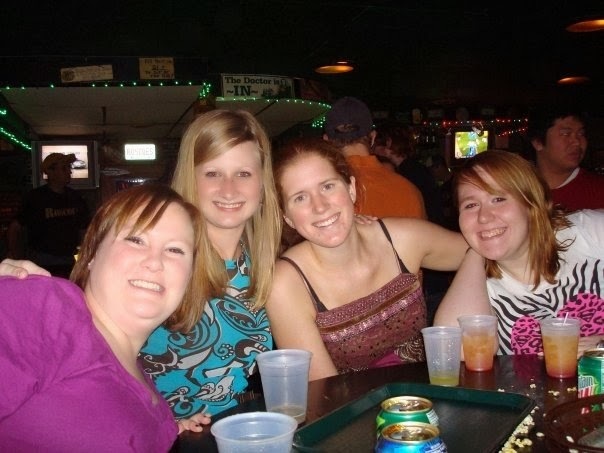 I always loved college birthdays the most! For my 19th, I watched the season finale of The Bachelor with a bunch of floormates (remember the season where Brad rejected both woman? We were furious. ), ate cake, & opened presents. 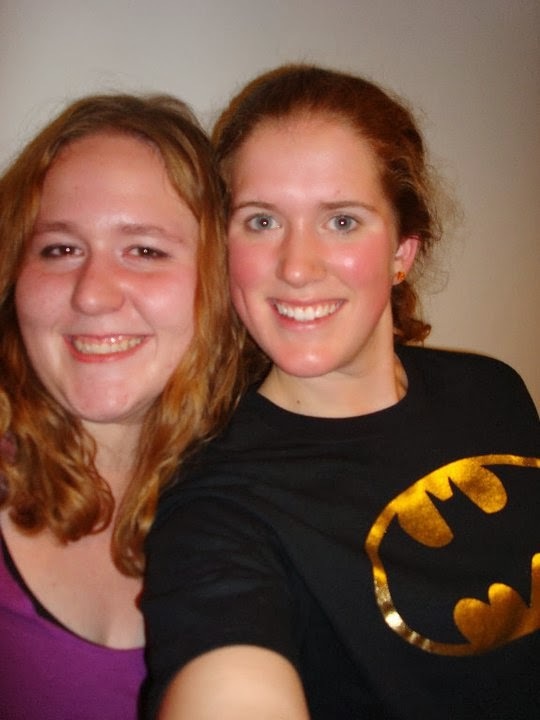 My 20th, I had a group birthday party with my best friend's cousin, who was turning 21. 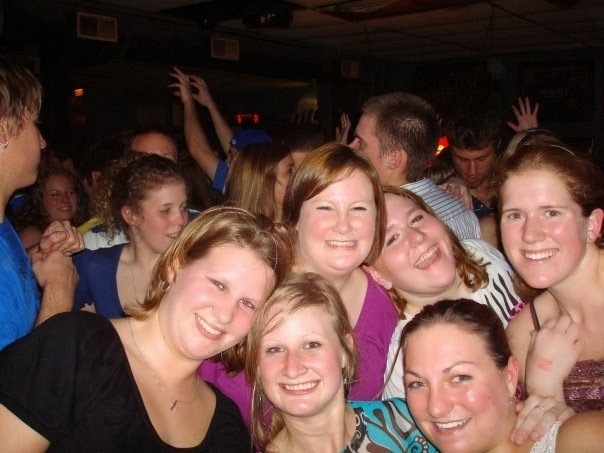 We all went out to the bars and danced, played darts, & (shh!) I had my first alcoholic drink (outside of the house). 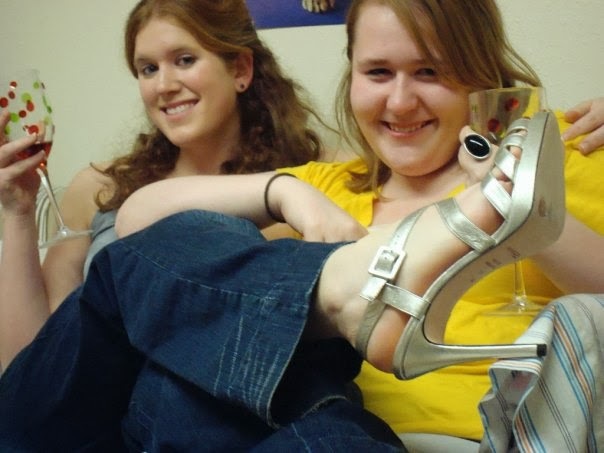 Get this: for my 21st, I hung out with my BFF in her dorm with some friends, watched a movie, and drank two bottles of wine. YES! Although, my BFF's birthday is five days before mine, so I may or may not have went out to the bar with her on her actual birthday and celebrated. That, despite how it may look, is not milk. 23rd birthday = Went out for dinner with my sister, aunt, and mom. 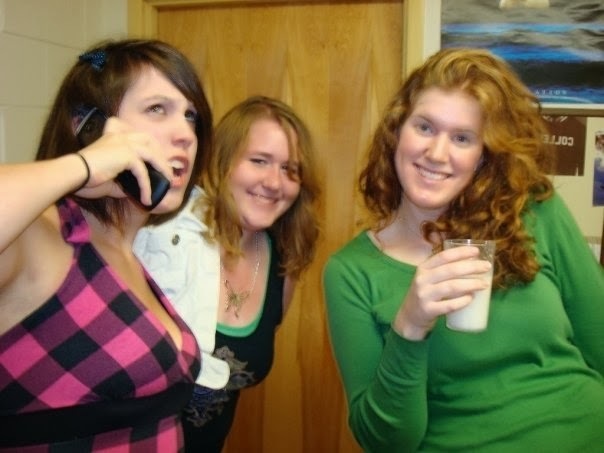 Went over to some of my nursing classmates apartment and hung out while pigging out on food and drinking. 24th birthday = I had community nursing clinical bright & early at 8am that morning, but, by golly, I made sure I looked cute! I baked chocolate chip bars for my nursing class, ordered in pizza, and watched Dancing with the Stars. 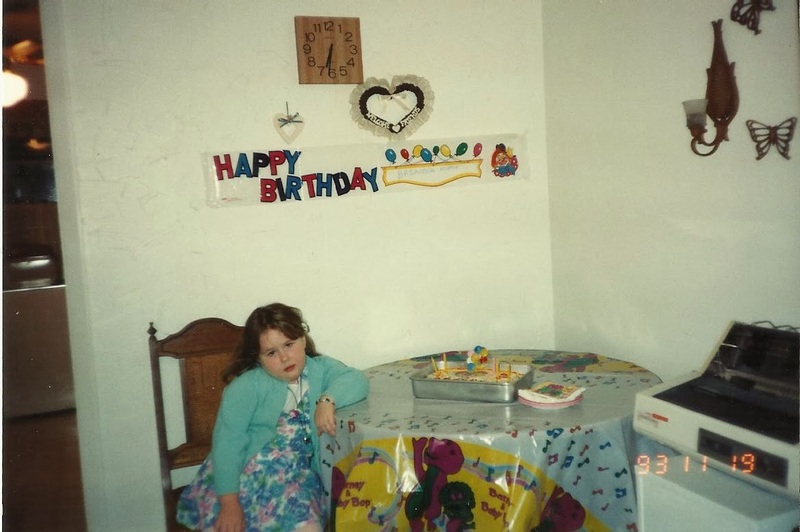 Man, the more these birthdays go on, the older I feel my definition of "party" is! 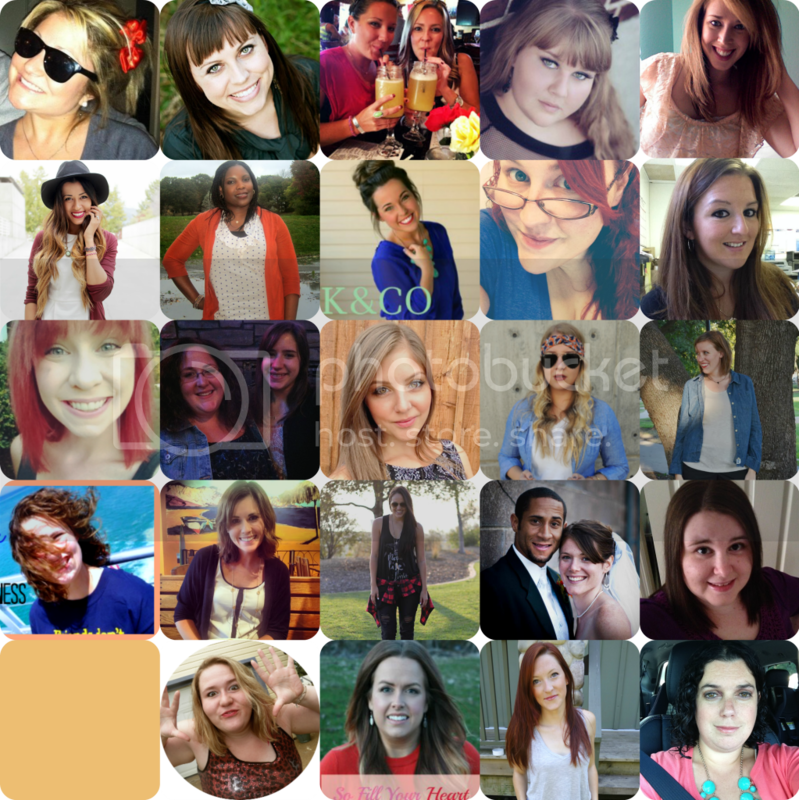 If I had a birthday party for my 25th, I would choose to have a makeover/spa day with girlfriends. Spending the day getting pampered along with some wine sounds wonderful! Today, I'm giving you the chance to win a $25 giftcard to Sephora so you can buy some things to pamper yourself! 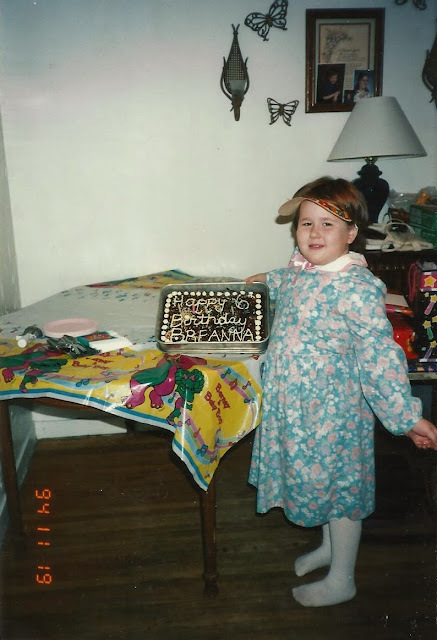 When I turned 30, I was pregnant with my first child. My mom and dad arranged for a surprise dinner, and everyone brought me gift cards for maternity clothes! :) It was 2 celebrations in one! 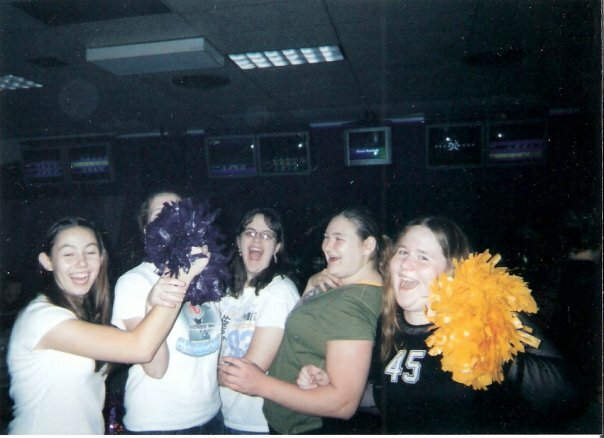 When I turned 15 because it was so much fun to have a birthday party where I could invite both my friends and family. usually it was just family at parties. These birthdays sound awesome! 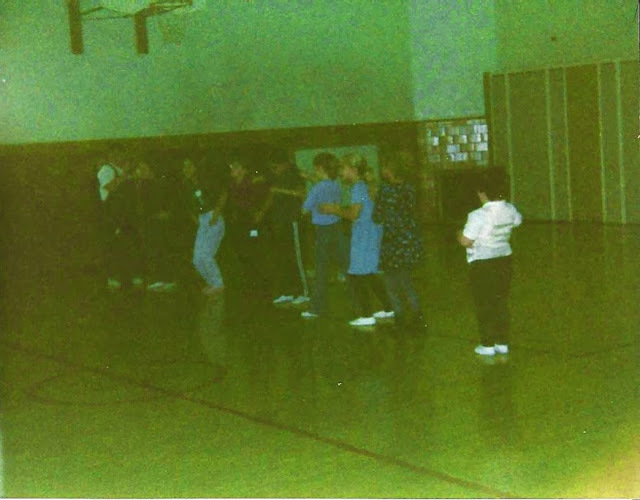 I especially like the face paint and the actual dance party because those were my dream parties when I was younger. 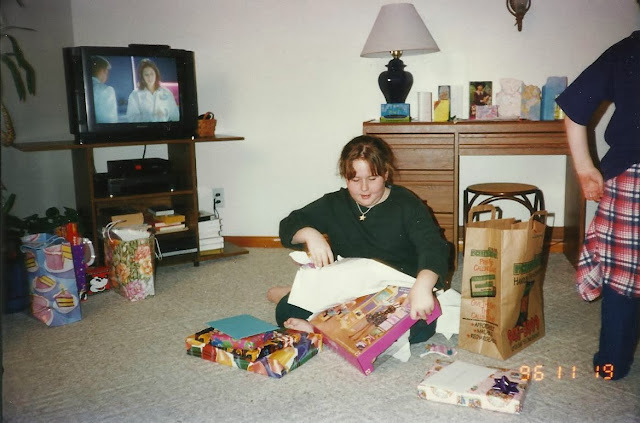 When I was in elementary school, everyone was having birthday parties at the skating rink or McDonald's. 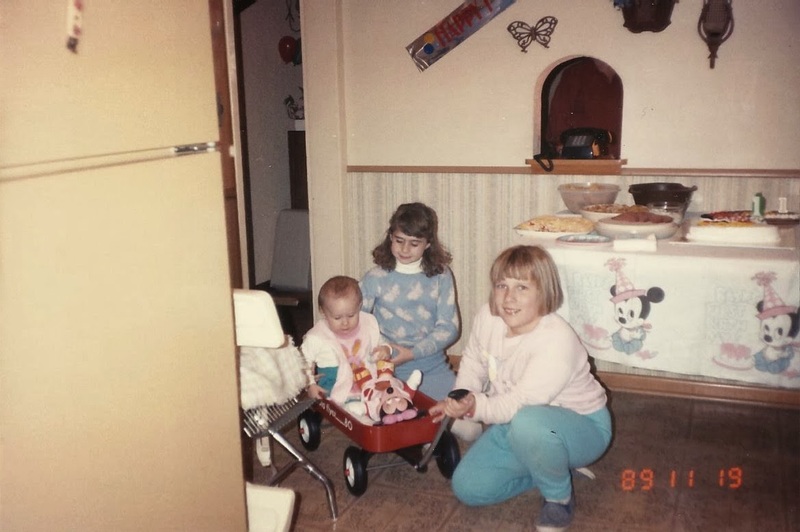 My parents couldn't afford that kind of party, so my Mom created all types of games and a carnival type atmosphere at our house. I was embarrassed at first, thinking that all of the kids would laugh and make fun of it all. Everyone had a blast! Looking back on it now, it makes me tear up to think about how much my mom worked to make sure I had a wonderful birthday party. Great photos! I am pretty sure I had a family member with the same one :) Keep on celebrating! This past year when I got to celebrate in California with my hubby! Haha I love the photos of you when you were little, too adorable! Ah loving these throw back pix. I love looking at old photos.